On the East Front this year there are four carpet bedding schemes along the Broadwalk. 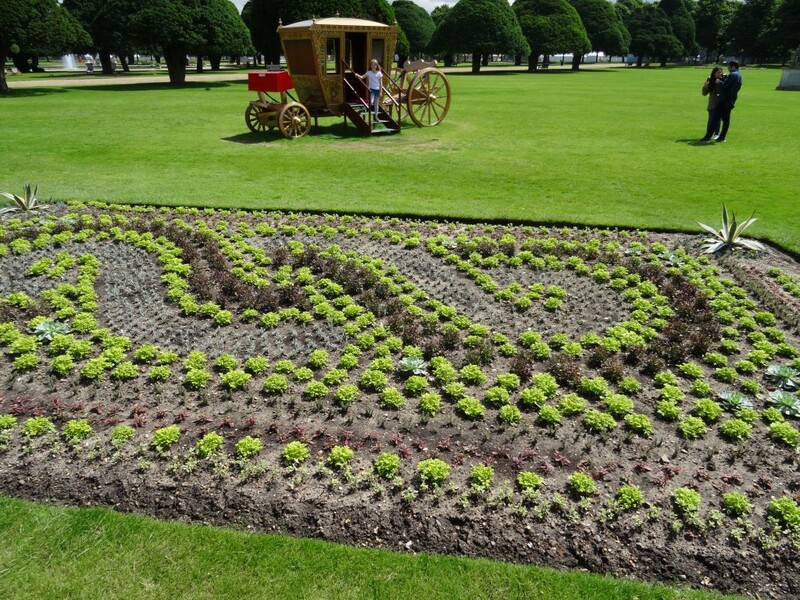 We used carpet bedding a few years ago to celebrate the 100 year anniversary of the Girl Guides. This year, as we celebrate the gardens here at Hampton Court, we have recreated four designs from a book by Nathan Cole, published in 1877, called ‘Royal Parks and Gardens of London’. 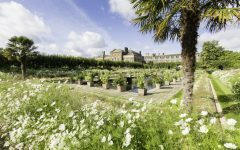 Great gardens and parks started using flower bedding to attract visitors as early as the 1830s. It was labour intensive and required glasshouses, so was too expensive for most individuals. Later, around the 1870s, the use of bedding to make what appears from above to be a ‘carpet’ became very popular. 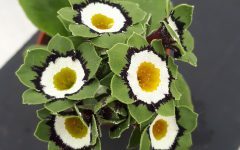 This involved using many small, and mainly foliage plants of different colours and habits to form intricate patterns or pictures. It was often used to commemorate events and to celebrate anniversaries of various organisations. 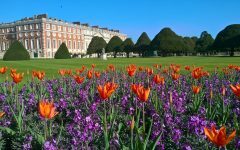 It fell out of fashion at the turn of the century, partly due to the expense, but also as fashion had moved towards a more ‘cottage style’ garden. 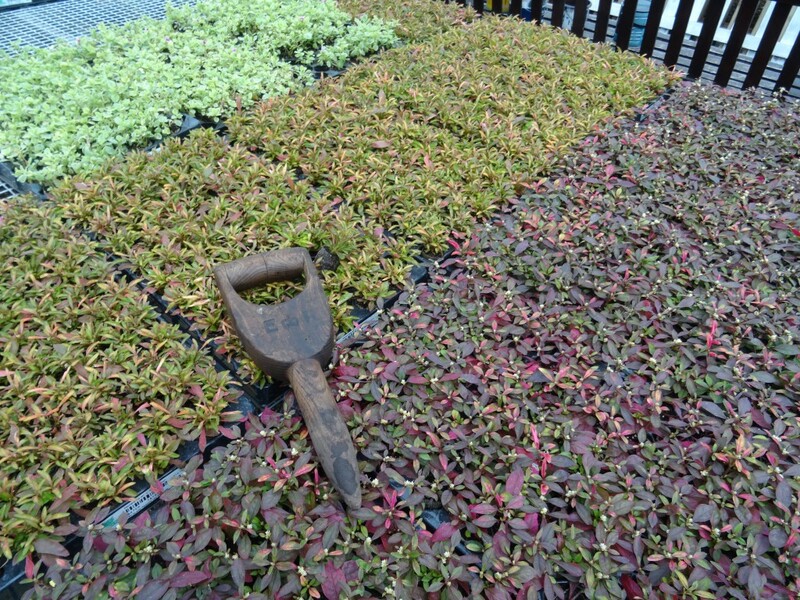 The plants arrive as tiny plugs and come in trays of 100, which are planted with a dibber. Look closely at ours and you can see the ER and crown symbol mark on the handle. 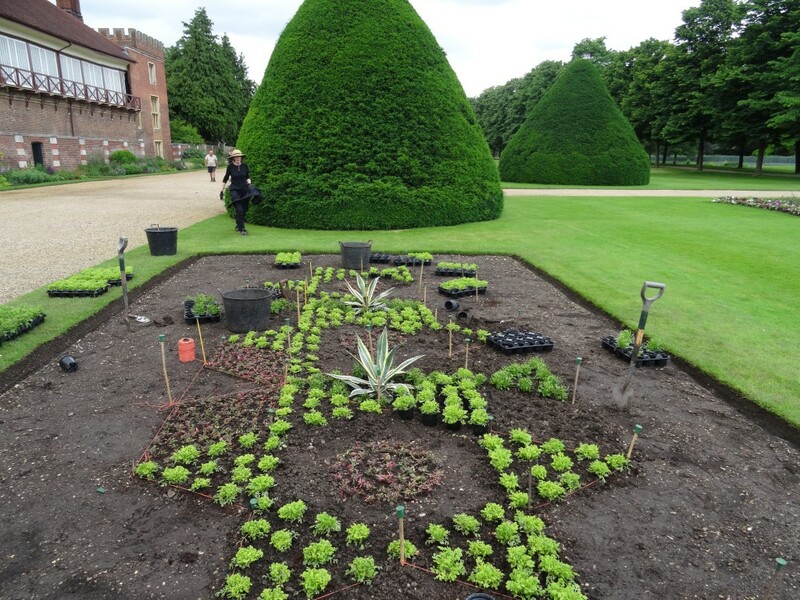 Before we can plant the bed, the design is transferred onto a scale drawing which we then mark onto the bed using canes and string. Once that is done we arm ourselves with a dibber and planting can begin. It is always quite exciting when you start seeing the pattern come to life, though my enthusiasm does wane a little after the first couple of days when the novelty wears off slightly and it can feel more like an endurance! The beds will need clipping to tidy them up every couple of weeks and this is carried out by one of us laying across a scaffold board and using a pair of clippers. They are labour intensive, which can be difficult when there is so much else that requires attention in the gardens, but I do think they look wonderful and are something that any great garden should showcase.